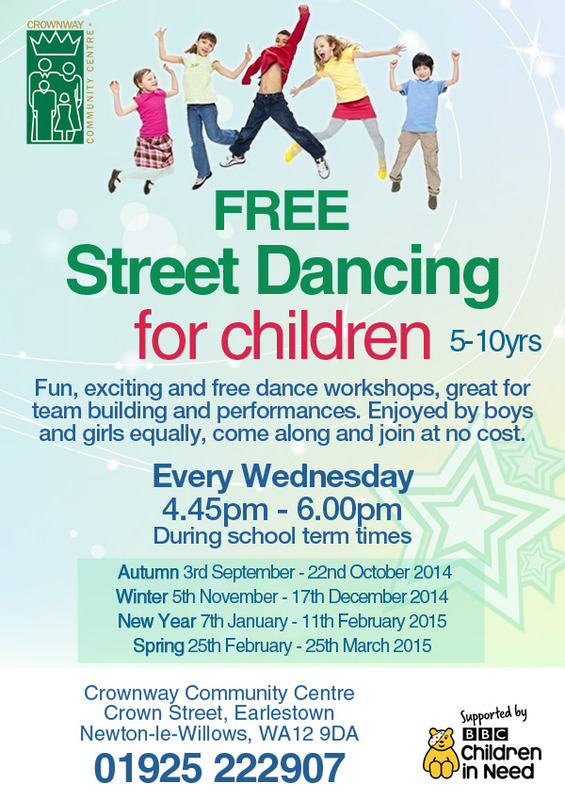 Free Street Dancing classes for children (5-10yrs) at Crownway Community Centre. Fun and exciting, dance workshops are great for team building and performances. Enjoyed by boys and girls equally, come along and join at no cost. Workshops are funded and supported by Children in Need and run by Alexandra Jane Lewis of the Alexandra Jane School of Dance. All participants must have enrolled their child via a short application form, to be completed at their first session.